Possibly, wave  took the form of zigzag pattern with long flat pattern (X) inside it. Probably, on minor wave level price is forming initial ascending impulses, that’s why I opened buy order during local correction. Stop is placed at minimum, but I’m planning to move it into the black as soon as market starts moving upwards. More detailed wave structure is shown on H1 chart. 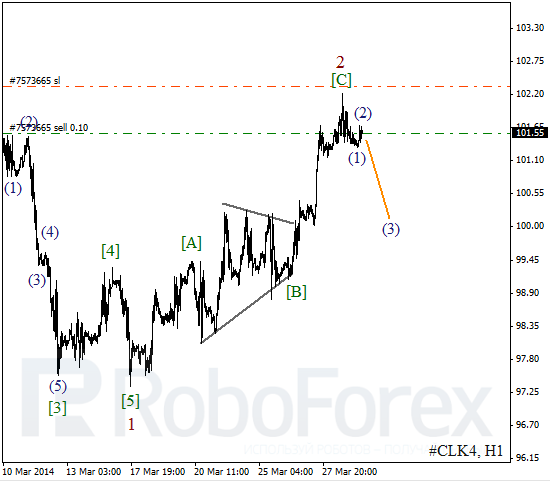 Probably, after completing zigzag pattern inside wave (Y), price formed bullish impulse. Probably, instrument may form extension inside wave 3 during the day. Probably, Oil is about to complete wave 2. 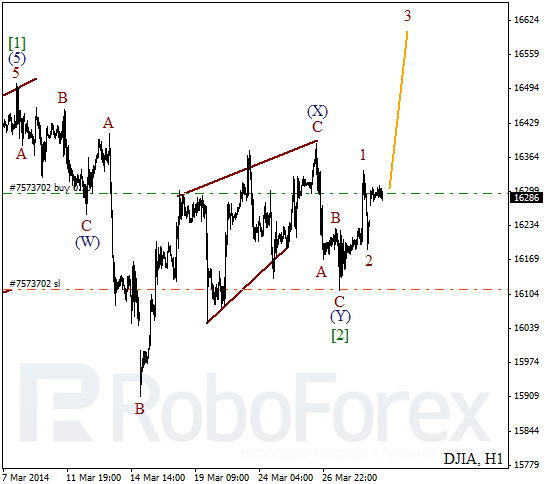 Earlier price formed strong bearish impulse inside the first wave. I’ve already started selling carefully, because descending movement inside the third wave may be very fast. 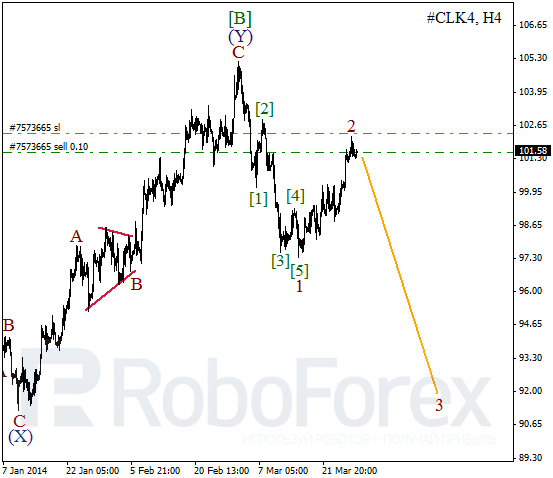 As we can see at the H1 chart, Oil formed zigzag pattern inside wave 2. On minor wave level, price completed initial impulse inside wave (1). 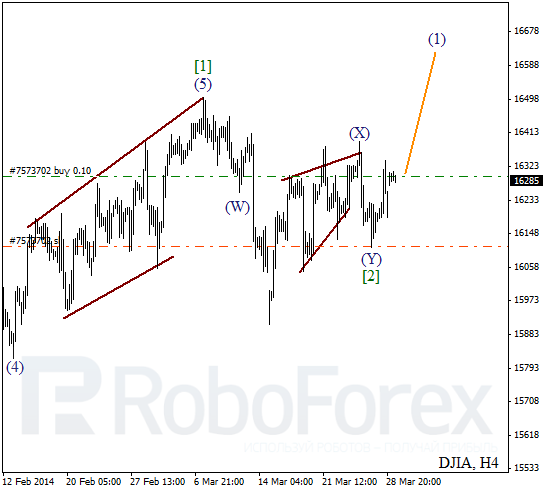 After local correction, instrument is expected to start moving downwards inside the third wave.